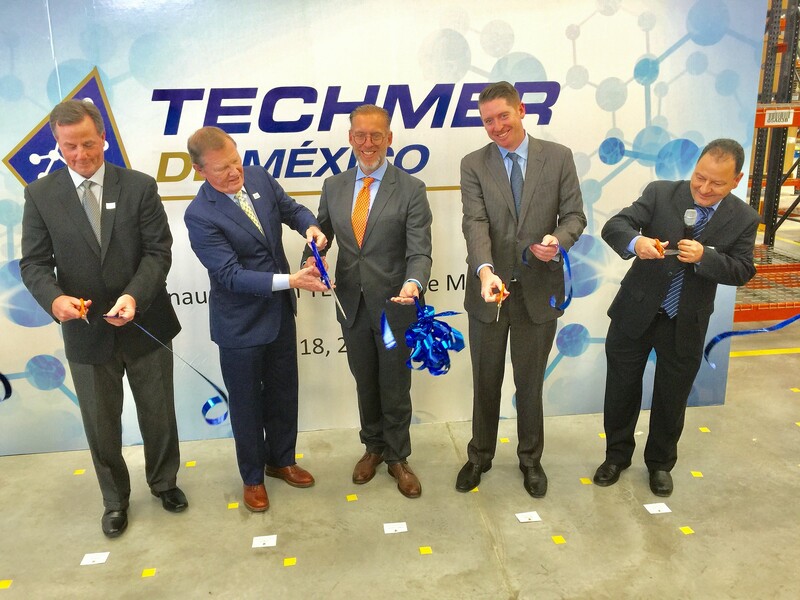 Techmer PM LLC, the innovative materials company that has a sizable presence in Clinton, held a grand opening yesterday for its newest plant in Querétaro, Mexico. 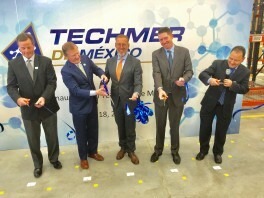 The facility is expected to double in size in the next two years as it helps Techmer PM meet growing demand for color, additives, and engineered compounds in key Latin American markets. Tori Watson, Techmer PM’s Market Engagement and Communication Lead, said the ceremonies yesterday included John Manuck, Chair and Chief Executive Officer, and Ryan Howley, Techmer PM President, as well as state and local officials from Mexico and Techmer PM customers. She also shared with us this program for the event (Techmer de Mexico Grand Opening Program FINAL 040518 Print) that includes a photo of the new plant and this photo from today’s ceremonies that included Marco A. Del Prete T., Secretary of Sustainable Development for Mexico. To learn more about the history of Techmer PM, read our three-part series from a year ago (Part 1, Part 2, and Part 3).